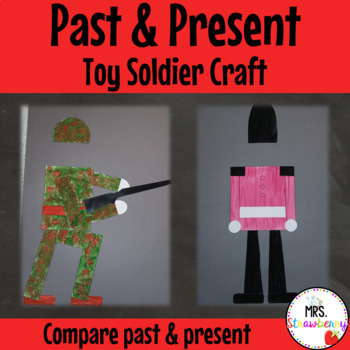 With this cut and paste activity you can complement your History unit by creating an ‘olden days’ lead toy soldier and a ‘present day’ army man toy soldier. After our unit exploring past and present toys, we wrote persuasive texts about which toy soldier is better – an olden days lead soldier, or a present day plastic army man. The kids were super excited to then make their chosen soldier from this cut and paste package! To personalise - add a photo of each student's face to the finished soldier craft!